idealized his demise in Khartoum. One subset of books I enjoy collecting are juvenile biographies. Usually I find that the older they are the better. This week I have been reading Arthur Orrmont’s Chinese Gordon: Hero of Khartoum (Putnam, 1966). 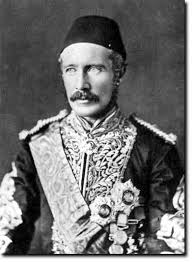 Charles George Gordon (1833-1885) was a larger-than-life, swashbuckling British hero of the Victorian era. He got the nickname “Chinese" Gordon for his leadership in British military victories in China. 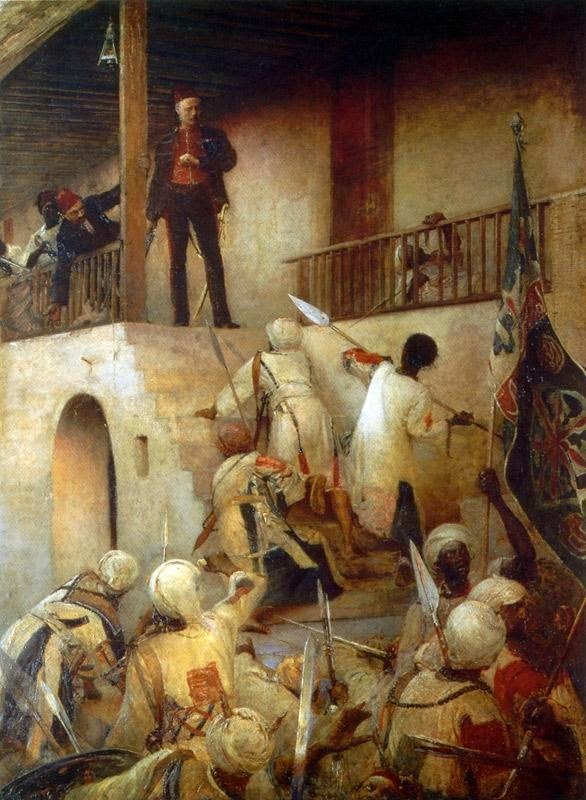 He died in battle after being overrun by Muslim adversaries in Khartoum, Sudan, just days before British reinforcements arrived. For this he was either hailed as a hero or pitied as a fool. In his times, Gordon was a household name throughout the British Empire. Various statues and monuments to him still stand from Melbourne, Australia to London. From what I have read so far, however, I can see why my copy of the book was discarded from a public junior high school, and I was able to find it for a song on the shelf of a Salvation Army Store. Gordon’s story is not exactly politically correct. Some of his exploits in battle, for example, might today be labeled atrocities. There was no filter for his cultural imperialism. In his day, however, Gordon was held up as an ideal Christian man who bravely battled the infidels. He did indeed have an immense interest in the Bible and Christianity. In fact, there is still a place in Jerusalem called “Gordon’s Calvary” (also known as “Skull Hill”), because he convinced many that this was the historical site of Jesus’ crucifixion. His views, however, were also prone to obscure speculations and unorthodox conclusions (e.g., he apparently believed that hell was a physical place on earth, and he believed in reincarnation after death). From this point on he was a serious, deeply committed Christian. However, his theology was then, as later, unorthodox, and highly individual, based on his own interpretations of the Bible. He was never to join a particular sect or church (pp. 10-11). From this account doubt is raised as to whether or not Gordon was ever really a Christian. For true Christians will always desire to commit themselves to a local body of believers (cf. Heb 10:24-25; 1 John 3:14). One might speculate what difference might have been made if Gordon had sat under gospel preaching from a minister of Christ’s church in a Christ centered congregation from a young age. What if his individual pursuit of Christ had been joined to a corporate pursuit? What if his “private interpretation” (cf. 1 Peter 1:20) of the Scriptures had been regulated by a robust confessional faith that answered to the confirmed convictions of the Scripture’s teachings and the old paths worn by the great men of the past? In the end, those lines convinced me that the life of Charles “Chinese” Gordon is a warning. Personal zeal and enthusiasm for Christ is not enough. We need his Body.